Review the available date order display formats and select the one that fits your preferences. You can select a 12-hour based or 24-hour based time format from the dropdown menu. The options with an AM suffix after the sample time are 12-hour based and all others are 24-hour based. Select your preferred Timezone from the list with available GMT (UTC) offsets. Set "First day of the week"
Select the day the week starts with in your country. Monday is the first day of the week according to the international standard ISO 8601, but in the US, Canada, and Japan, for example, the first day of the week is Sunday. 3) Click "Save" to confirm the changes. The new date and time settings will take effect immediately. Select your preferred currency (depending on the country your business is registered in) by choosing its International Abbreviation Code. You can select the thousands separator (comma or space) or show the amount as a price with decimal numbers indicating cents, pence, etc. or without if you only have rounded prices. Select where the Currency symbol should appear - before or after the price amount. All VEVS website solutions use Google Maps where a map is displayed and an address is located. 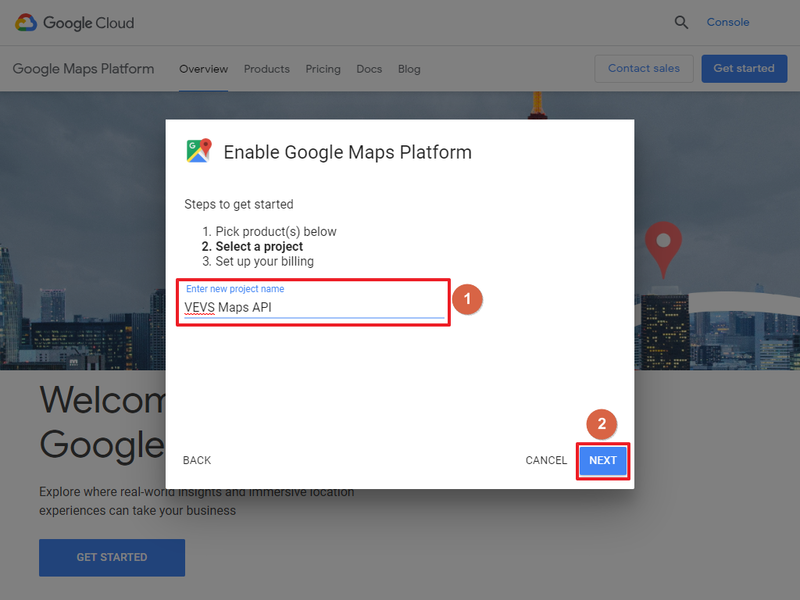 According to the latest changes introduced by Google, to use Google Maps on your website, you need to obtain an API key. 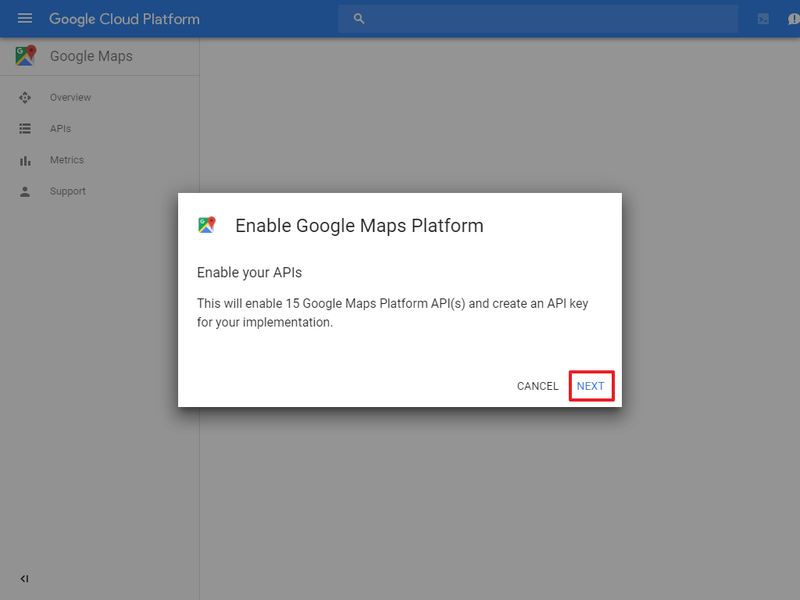 IMPORTANT:You must have a Google account with billing enabled to generate a key for Google Maps API. 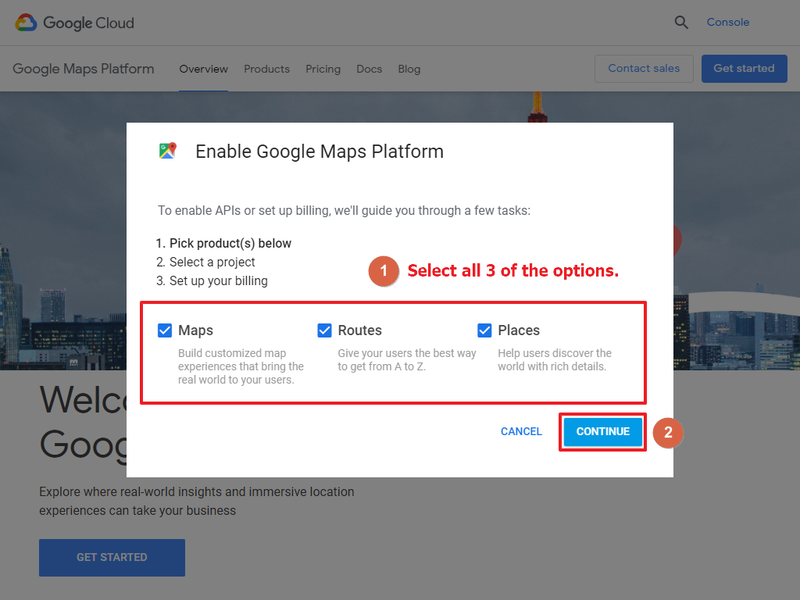 * Google offers $200 in free usage for Maps, Routes, and Places every month. For more information - check the Google Maps Pricing Info and Pricing Table. Google Maps requires a special Google Maps browser key. Without this key, you cannot display Google Maps on your website. Before you can set this browser key in your VEVS Website you'll need to generate it. This tutorial will show you how to do that. Click 'Next' to enable the APIs for the project. 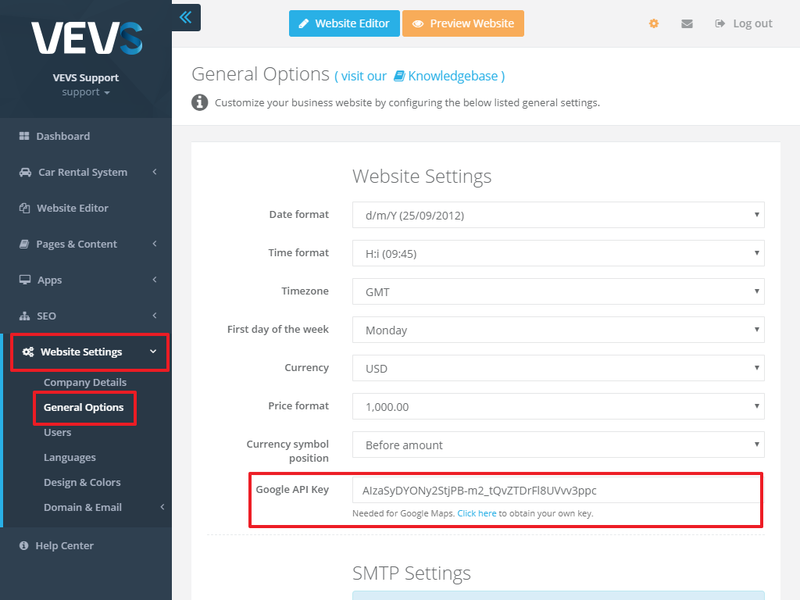 Copy the generated API key from the popup, you'll need this to set your key on the Website Admin Page later. While your website installation is not yet transferred to its own domain name, the automated email notifications from the VEVS CMS are being sent from the email "noreply@vevs.com" with "Reply-to:" set to "your.admin@email.com" (the email that you have set as a master admin of the website). In this case, some SPAM filters might reject the automated emails that our system sends or mark them as SPAM and move them to the JUNK or SPAM folder. Some SPAM filters do not "like" emails sent from one email account (e.g. noreply@vevs.com) on someone else's behalf. 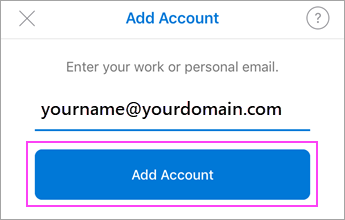 Once your website is transferred to your own domain name, the system will require you to specify the email from which the notification emails will be sent, otherwise no email notifications will be sent from your website. To do so, go to your Admin Page / Website Settings / General Options and complete your email account details: SMTP Host, SMTP Port, SMTP Username, SMTP Password. Email address ("From" header) needs to be filled in, too. Enter the email to which you wish to receive customer replies to your system emails. 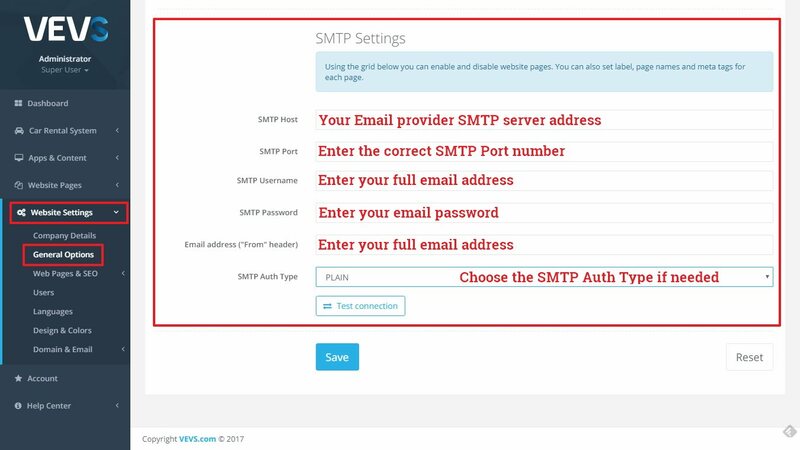 SMTP Auth Type - select the correct SMTP Auth type if needed. Otherwise, leave it to the default option. 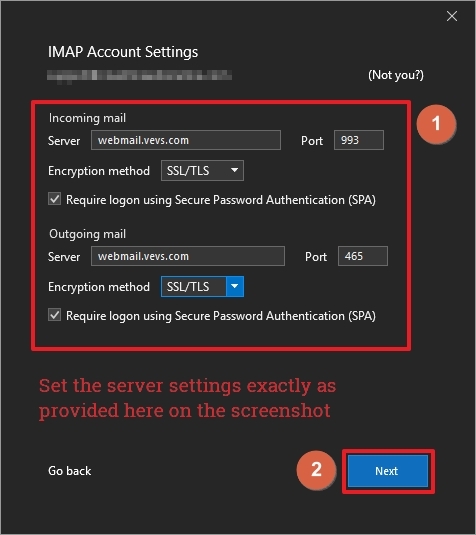 See the example below for more information and find a list of the most common email provider's SMTP settings. If your email provider is not among the listed ones, please contact them and ask for the correct SMTP details. In both cases (PHP mail or SMTP), if your customers reply to your automated email notifications, you will receive the message in your email box. You can also follow the instructions in the next question "Allow the website to send notification emails through your Gmail account" to set up your Gmail account. 2) If the 2-Step Verification is set to ON, click on "App passwords". 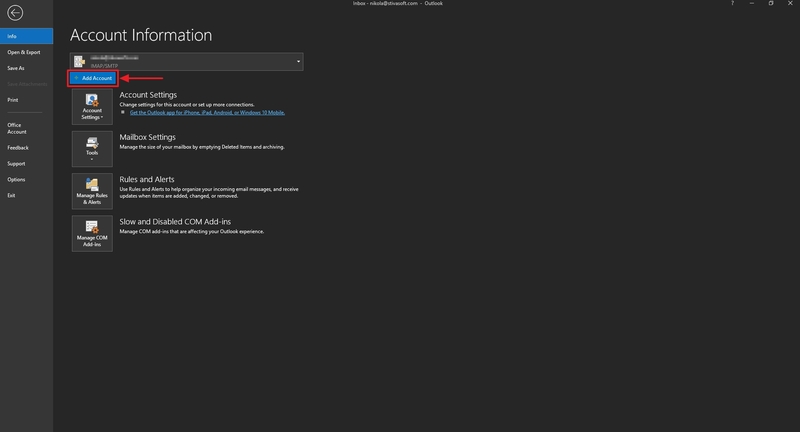 2.1 When the page opens select "Other (Custom name)" from the "Select app" dropdown menu. 2.2 Type a name of your choice in the text box and press the Generate button. 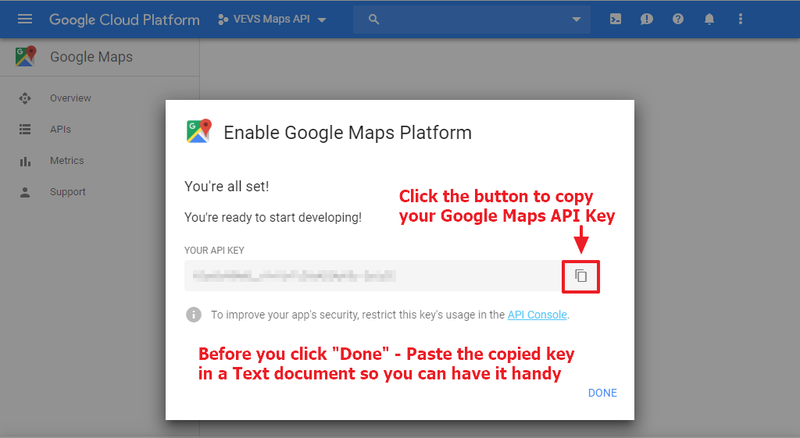 2.3 A new window will pop up - it will contain the 16-character password you can use instead of the password for your Google account to allow the apps and services (in your case, your VEVS website) to pass the 2-Step Google Verification. Just copy the password from that window and paste it in your website's SMTP password settings in the place of your Google Account password. 3.1 Scroll down to the bottom of the page until you reach the "Allow less secure apps" box and set it to ON. If you are using an email for your domain name (email@domain.com) that is managed by Google Suite - then you may need to proceed with a few more steps to enable the option "Allow less secure apps" for your email account. Once you've set the setting Allow users to manage their access to less secure apps to On, affected users within the selected group or Organizational Unit will be able to toggle access for less secure apps On or Off themselves. First you will have to start Microsoft Outlook. 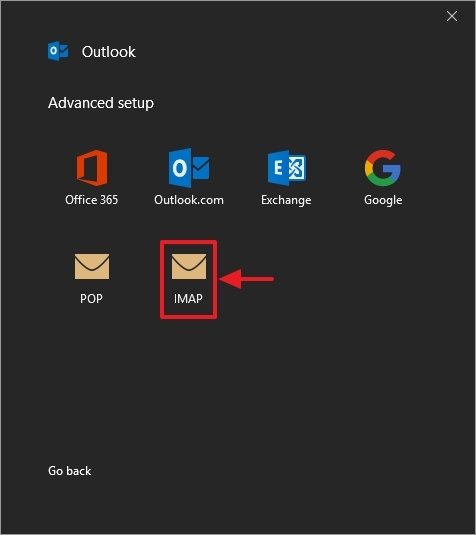 Enter your email address in the email field and click on "Advanced options" and check the box in front of "Let me set up my account manually"
Start the Microsoft Outlook app on your mobile device. 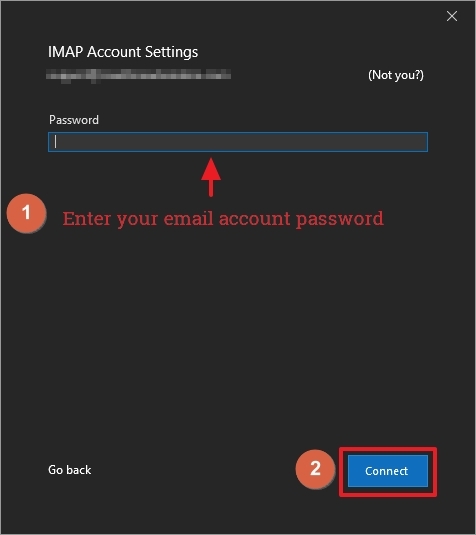 In Outlook for iOS/Android, go to Settings > Add Account > Add Email Account. Enter your full email address. Tap Add Account. Enter your email password and toggle "ON" Use Advanced Settings. Enter the server setting information needed. Tap Sign In (iOS) or the Check sign on the upper right corner (Android). 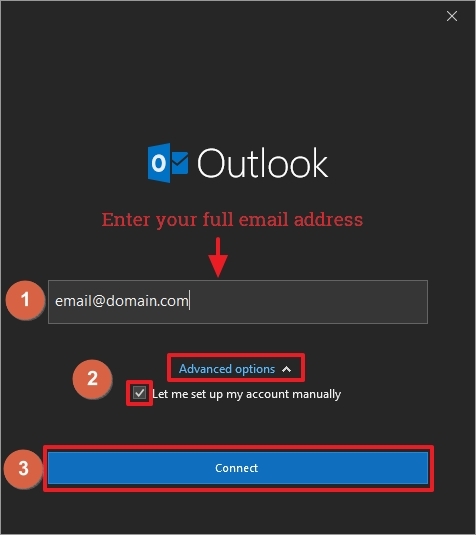 You are all set and ready to use your VEVS email account on your mobile device via the Outlook app.